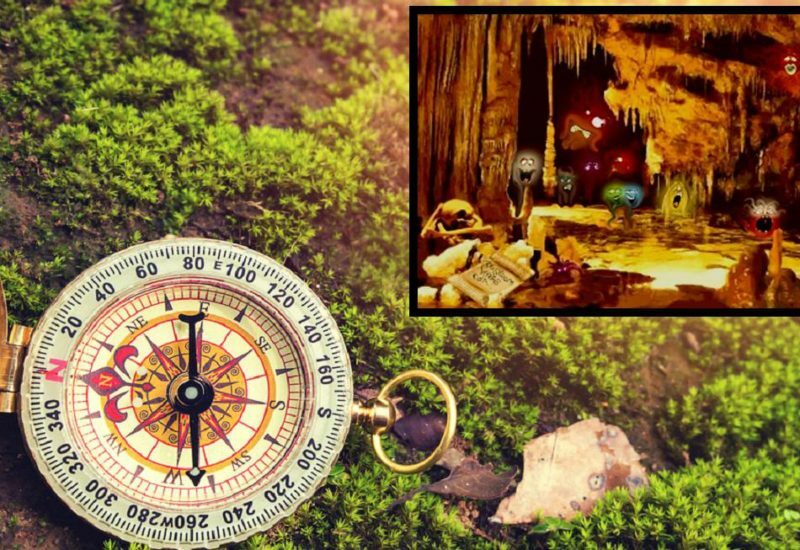 Discover the cave and the forest in which you will solve puzzles and look for clues to find the location of the treasure then the code to open the trunk! Join the family, or friends, on two captivating adventures: one that will take place in the cave of Baume Obscure and the other along a circuit traced in the forest. In the cave: before the departure a facilitator will put you in condition in the "Géodôme" (semi-spherical structure) with the projection of a small film inspired by Jules Vernes' novel "Journey to the Center of the Earth". He will then assign a mission to children and adults, explain the course of the game, give the safety instructions and coordinate departures. A document in the form of a parchment will be provided beforehand with map, drawings, photos and texts. The treasure hunt will consist of finding clues, solving puzzles, may be to flush out, depending on the season, strange and mysterious beings. Throughout a course laid out and secure 700 m long and 60 m deep you will enjoy musical and light entertainment highlighting the most beautiful parts of the cave. Back on the surface, around a table, you will find the location of the treasure chest and the combination of letters, numbers or symbols that will open it. You can then access the reward! In the forest: the walk and the game can be done before or after the descent into the cave. Along the forest route you will have to search and count the animals that hide there. You will also have to solve puzzles and find the necessary clues to access the treasure! In the cave: marked and secured course of 700 meters to the depth of 60 meters. In the forest: easy walking trail, marked out, 850 meters long with some slight differences in level. In the cave the temperature is constant all the year: 14 ° C (attention to the differences of temperature between cave and surface in summer). Many steps of stairs, wet and slippery floors: provide closed shoes with suitable soles. During dry periods, because of the high risk of fire, especially in summer, it is strictly forbidden to smoke in the forest. At Saint Vallier de Thiey take the direction of Saint Cézaire (D5). At the end of the village turn right (Chemin de Sainte Anne - sign "Souterroscope" clearly visible), go past the Intermarché and continue straight for 2.5 km to the underground parking of the cave.